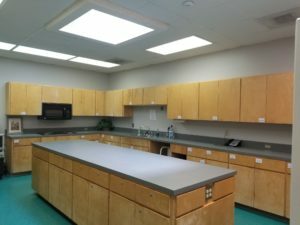 The Junior League of Midland, Inc. facility features 2 event/meeting rooms, a full size kitchen, and an outdoor courtyard. This is our largest meeting room, equipped with professional A/V, Wi-Fi, microphone, and an attached (non-commercial) kitchen. 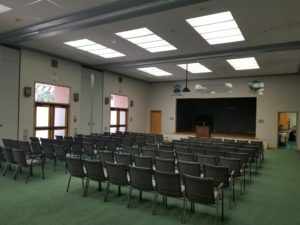 Mabee Hall can seat up to 200 people, with a variety of table and chair configurations that should meet your needs. 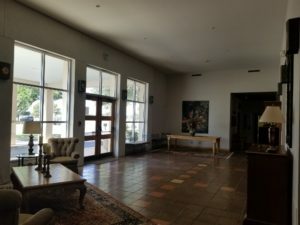 This room is off the main foyer of the building and has multiple access points including the courtyard. 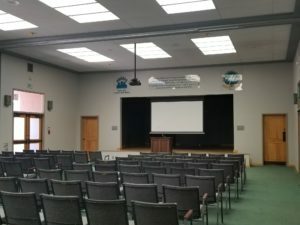 This is a perfect location for training, seminars, movie screenings, large community groups, or social gatherings. Rental rates are based on a sliding scale, adjusted between non-profit organizations, league members, individuals, and businesses. A/V services also carry a sliding scale charge. 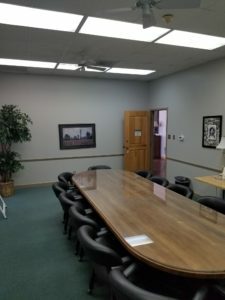 The Board Room is located off the main foyer. It is equipped with a large table and seating for up to 20 people. A/V services can be added as needed at an additional charge. The Courtyard located in the rear of the building and is attached to Mabee Hall. 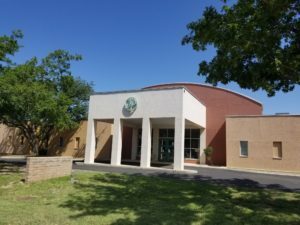 This space can be rented in conjunction with Mabee Hall only, and additional rental rates will apply. 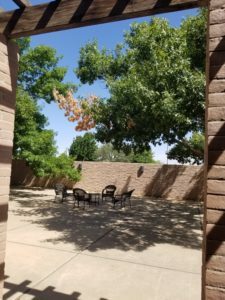 Outdoor tables and chairs can be used in the courtyard and are included in the rental rates. For our detailed room rental policy and rates, please contact the Office Manager at (432) 682-4732 or juniorleaguemidland@gmail.com.